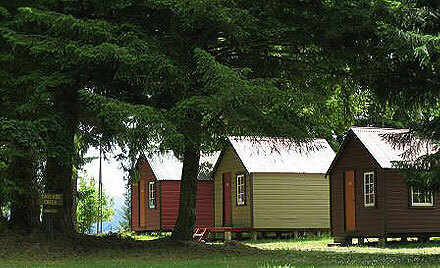 Our Holiday Park has 18 cabins available, 5 with their own basic kitchens. 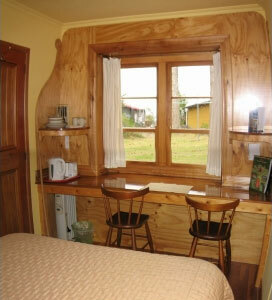 Each cabin is different, some have pretty character, others are more plain. 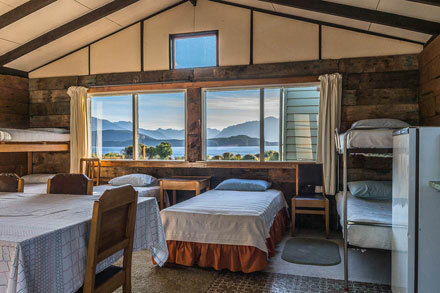 Those in cabins are required to supply their own bedding or to hire it at a cost of $10 per bed. Towels may be hired at $1.00 per night. Cot hire is available for $10.00. *Please note: we may not always be able to accept one night bookings during peak times - Xmas, New Year and January to the end of February. The prices as follows incur a 10% surcharge during these peak times. If you see something you especially like, book now to avoid disappointment. Our most popular cabin. 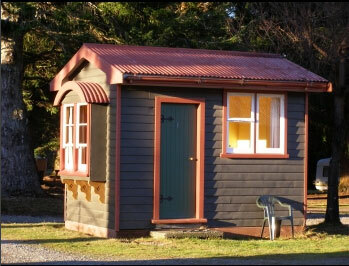 It has a basic kitchen, one double bed and two single beds. It is loved for it’s one of a kind sweet character. Be in quick! 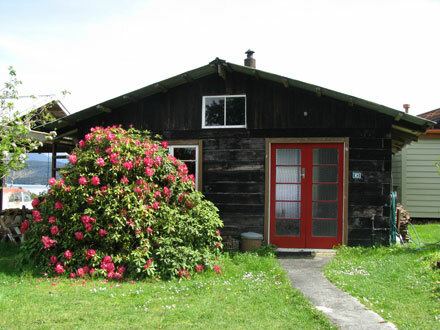 This cabin is handiest to the communal facilities. It has its own toaster and kettle, 1 double bed and 3 singles. 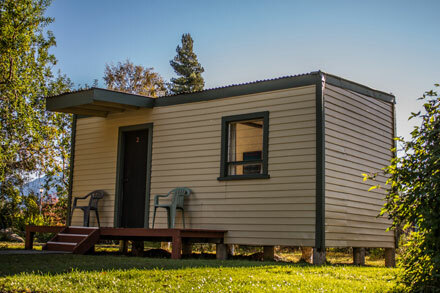 Our largest cabin with 9 single beds it's great for a family stay. 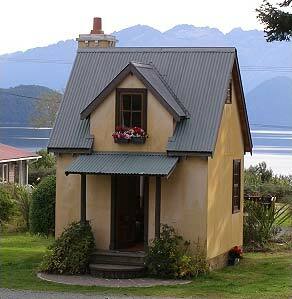 It is has a basic kitchen, a small wood burner and an awesome view. 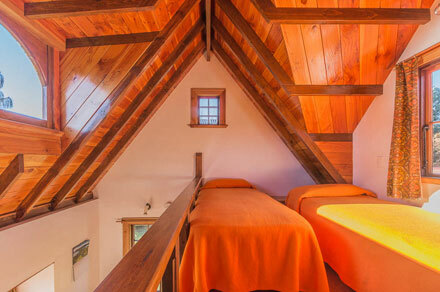 This character cabin has 1 double bed, completely made up with bedding. You’ll also find a toaster and kettle and you’ll be very close to the communal facilities. 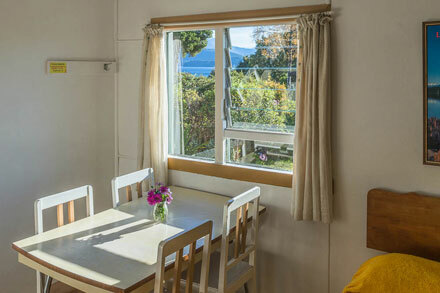 Copyright © Manapouri Motels and Holiday Park 2014. All rights reserved.